Offering you a complete choice of products which include ginger paste machine, ginger garlic paste grinding machine, tomato paste making machine, coconut chutney making machine, chili sauce making machine and ginger onion cutting machine. Leveraging on the vast experience of this domain, we are engaged in offering Ginger Paste Machine. While manufacturing these Sievers, our professionals make sure that these products comply with the established norms of the industry. Also, these heaters are supervised at the production stages, so as to maintain higher quality standards and removes defects, if any. 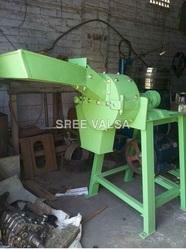 We are one of the leading manufacturers & suppliers of Ginger Garlic Paste Grinding Machine. We are one of the leading manufacturers & suppliers of Tomato Paste Making Machine. Leveraging on the vast experience of this domain, we are engaged in offering Coconut Chutney Making Machine. While manufacturing these Sievers, our professionals make sure that these products comply with the established norms of the industry. Also, these heaters are supervised at the production stages, so as to maintain higher quality standards and removes defects, if any. We are one of the leading manufacturers & suppliers of Chili Sauce Making Machine. Being a prominent manufacturer and exporter, we are providing an innovative range of Ginger Onion Cutting Machines. Our expert manpower uses optimum quality cast iron and stainless steel, sourced from trusted vendors to manufacture these machines. 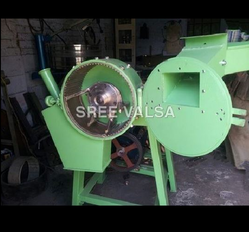 These machines are suitable for cutting fresh vegetables. We can customize these machines with different technical specifications for clients. 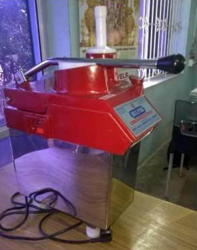 Moreover, we offer these Ginger Onion Cutting Machines at affordable prices to clients. Looking for Ginger & Garlic Paste Machine ?